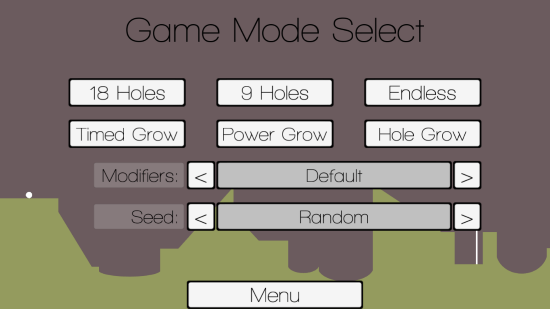 Grow in the Hole is a free Arcade Game for Windows 8 and 8.1 computers. This game is an excellent combination of mental exercise, and entertainment. It is setup in 2D environment and gives you the feeling you are playing golf in a very uneven terrain. You do not have to reach just 1 hole with the ball. 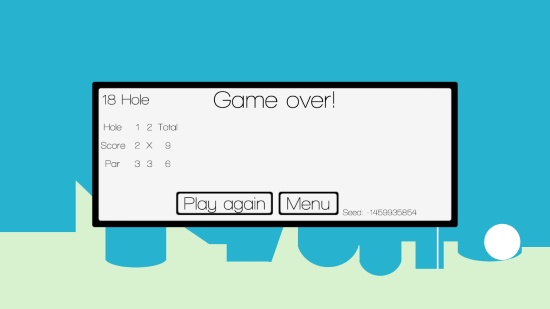 Maybe you will have to pot your ball in 9 holes, 18 holes, or maybe even more in this arcade game for Windows 8. This is not it; the ball you are playing with, increases in size. So, you have to be very careful while playing this game. 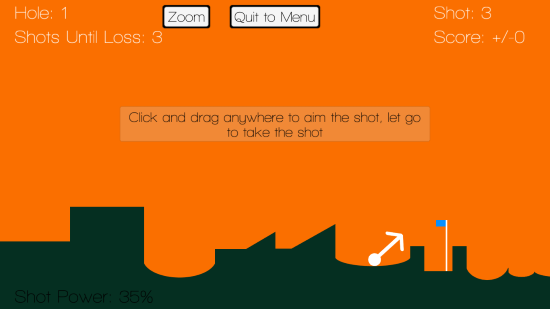 Pull out perfect shots and reach your target in least shots. This arcade game for Windows 8 occupies just 28.4 MB on your computer. Get it on the Windows App Store. Find the download link below this article. Click Install on the download page to automatically download and install this game. You can play this arcade game for Windows 8 with just your mouse. All you have to do is drag and project the ball in the direction you want to shoot it. 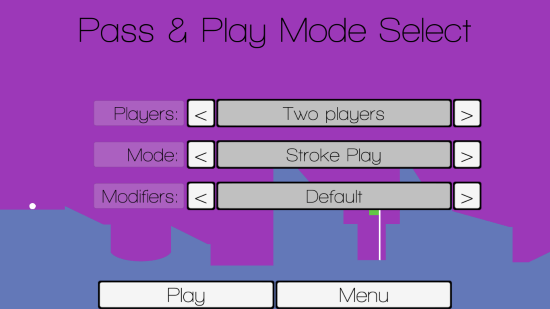 Click on Play to access the game mode options. Select either 18 Holes, 9 Holes, or Endless mode to play this game. 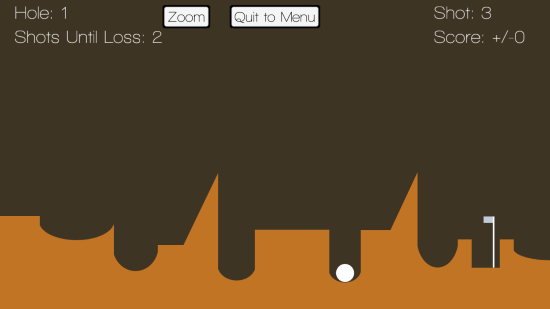 As you saw in the top screenshot, you have to drag, and pull the ball to create a projectile and reach the target hole. In the 18 balls mode, you need to reach 18 different targets continuously, as soon as you can. Same applies with 9 holes mode. Keep playing unless you lose in the Endless Mode. As you can see the screen displays the number of Holes covered, Shots until Loss, Shots taken, and Score. View the Shot power at the bottom left corner of the screen before taking the shot in this arcade game for Windows 8. If you are having trouble launching the ball, you can click on Zoom to launch the ball even more perfectly. When game is over, you can see the final score in the pop up. Play again or navigate back to the main menu. If you bored playing this arcade game for Windows 8, do not worry. Play in the multiplayer mode. Play and pass to other player to compare result. 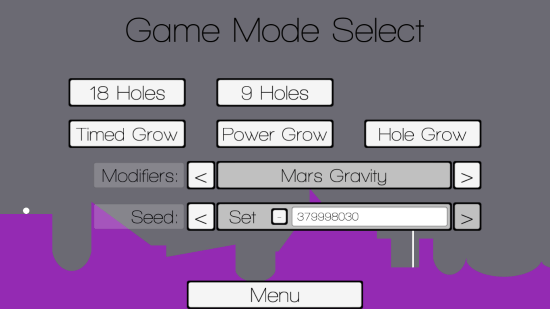 Do not forget to try other exciting game modes of this arcade game for Windows 8, which includes Mars Gravity and many more modes. This arcade game for Windows 8 gives you the feel as if you are playing golf in a 2D environment. Reach targets, and make high score. The audio effect in this game is really amazing. 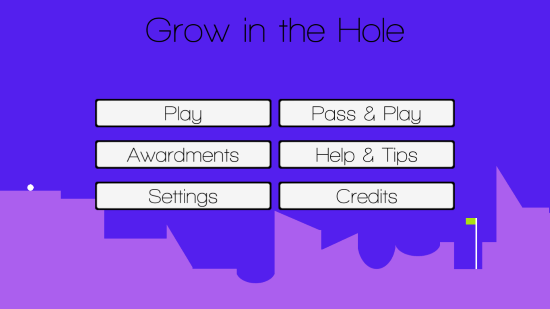 Download Grow in the Hole for Windows 8.